SOG Blog. – Page 13 – School of Groove. 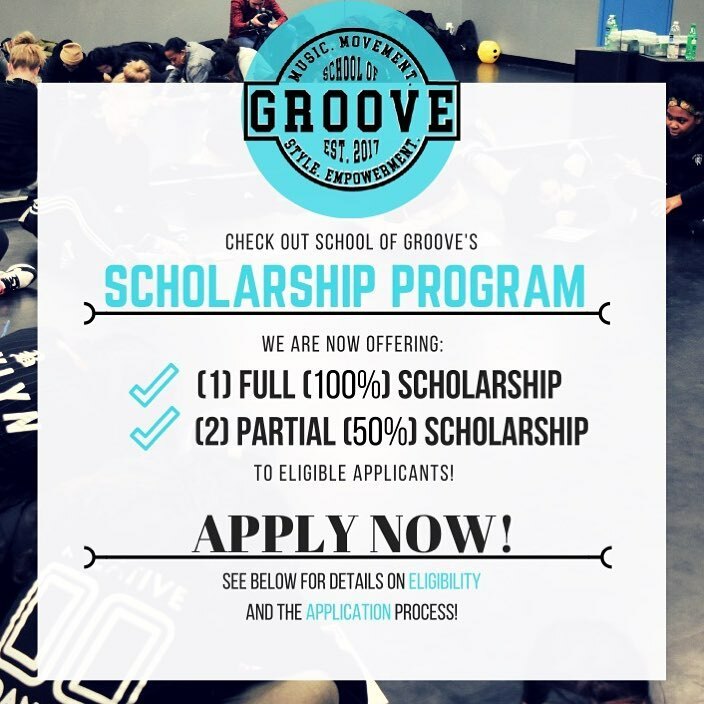 SOG has committed to offering two partial scholarships to applicants who may have difficulty attending the program for financial reasons. Our first sponsor has allowed us to offer an additional full scholarship! Early acceptance may be awarded to exceptional candidates (including scholarship positions). Don’t miss your chance by waiting to send your application! ….if you would like to get involved in helping us create more space for applicants who may require a scholarship to attend, please send us an email and/or stay tuned for future announcements. Check out this recent collaboration between SOG directions Queenie Seguban and Kelly Gammie! Videography by our friend Don Tran at QT Films. We are nine unique individuals from different walks of life, with friendships rooted in dance. Our bond started in university, flourished upon graduation and is stronger than ever today. We trained for many long, tiring, hilarious hours and performed countless times together. We vented about life. Our strength lies in our diversity and the size of our platform grew because of our support and celebration of one another’s goals, dreams and differences. We watched each other blossom into the women we are now – strong, driven and confident. Today we continue to empower each other as our careers and personal lives continue to grow. 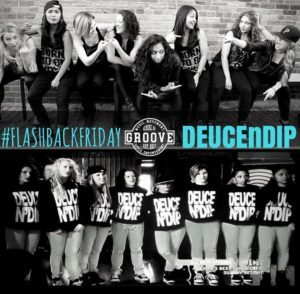 School of Groove is inspired by DEUCEnDIP. We wanted to create a space for young female dancers, from different walks of life, to train, share and grow together. We aim to guide our students to discover themselves and build long-lasting relationships through dance. Our credits are cool…but this is about #morethansteps. Our objective is to build strong women by building strong dancers. Applications for “Class of 2017” are open! Take a leap. We promise you won’t regret it. 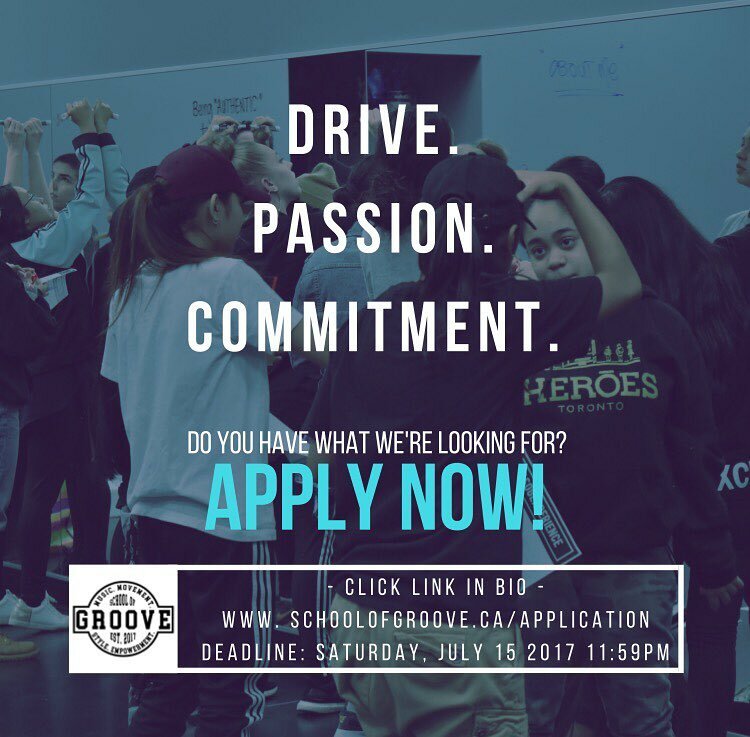 If you are passionate about dance and driven to succeed, we want you! Application deadline is July 15th (11:59pm). All applicants will be notified of acceptance by July 30th, 2017. Early acceptance may be awarded to exceptional candidates (including scholarship positions). Please apply as soon as possible. Summer Intensive details on the way!